The nation’s annual defense policy bill cleared Congress Wednesday with a pay raise for the troops and a provision allowing up to six icebreakers. If the icebreaker part sounds familiar, that’s because last year’s defense authorization bill had something similar, but it was stripped out before final passage. This year’s bill, though, is on its way to the president’s desk for his signature. Congress included a nonbinding note with the bill saying the first of the six heavy icebreakers should be delivered by 2023. The bill also allows $287 million in military construction projects for Alaska, according to Sen. Dan Sullivan’s office. 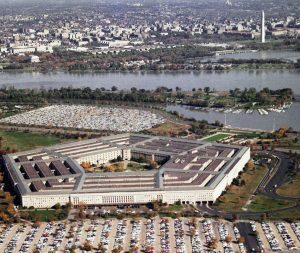 The annual bill authorizes Pentagon programs and provides a budget outline, but the actual spending is decided in the appropriations bills Congress has to pass each year to keep the government operating. The military pay raise of 2.6 percent is the largest since 2010.